Healthy eating can take you to new heights. Little known fact: veggies also happen to be the secret to UFO propulsion. 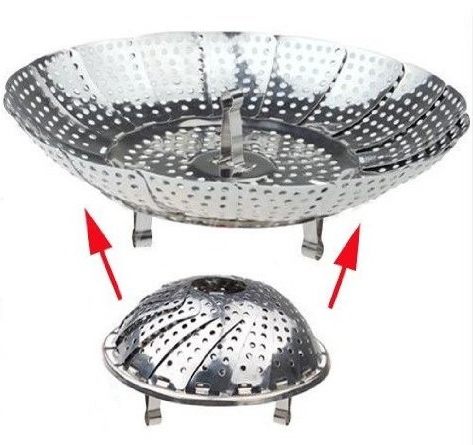 For proof, observe the folding steamer basket insert shown above. When opened and the veggies are released, the device shoots through the air. Of course, when the disc-shaped object opens, all the passengers will go flying out, so perhaps this conspiracy theory will require a little work. Good thing it’s the weekend. (Just in time too, considering this post!) TGIF!